The holidays are upon us and the search for the perfect gift can be stressful. Need some inspiration? Look no further than the 2018 Holiday Gift Guide. 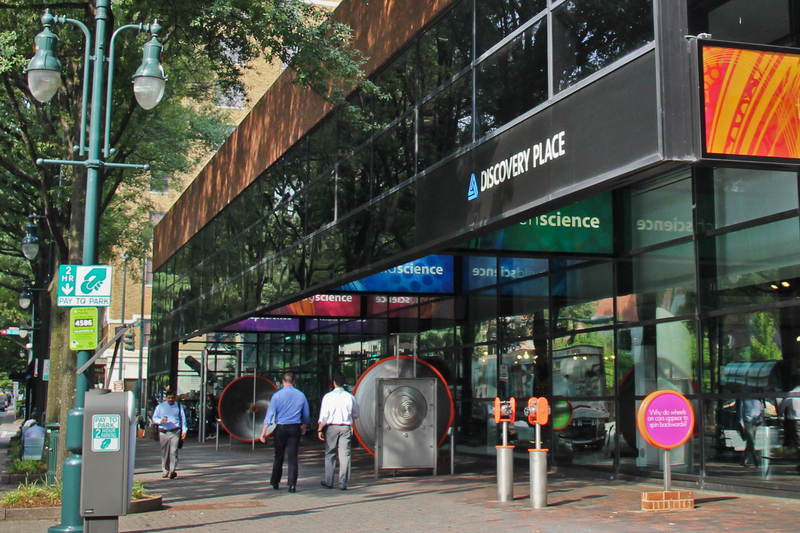 All items are available at Shop Science, open seven days a week during regular Museum hours. 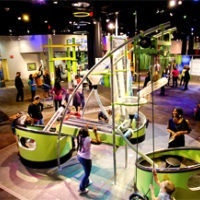 Discovery Place Science Members receive a 20% discount on all purchases. Feel good about your gifting, knowing that all purchases help support educational programs at our nonprofit museums. 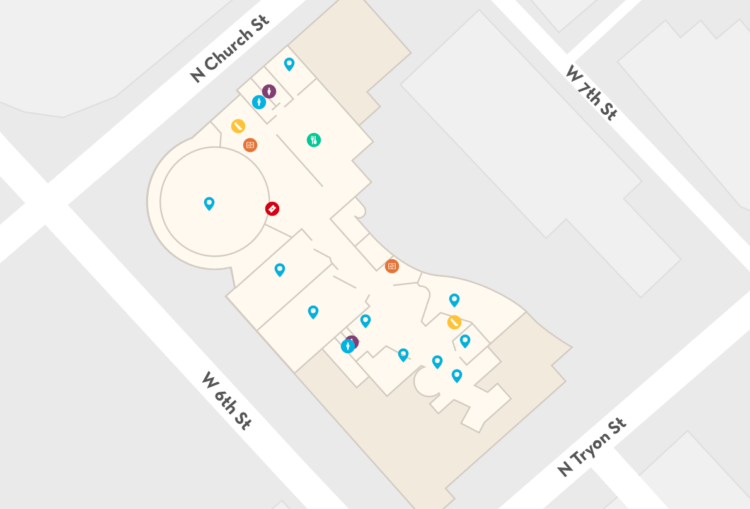 Can't make it to our Uptown location? We have you covered! Our online store is open 24/7, so you can shop anytime, anywhere. Five Little Fishes by Marcin Piwowarski and Sally Hopgood ($7.99, ages 3 and up) - “Bright, bold illustrations paired with simple rhyming text to create a novelty counting book that will be read time and again.” Turn storytime into a bonding experience with this instructional and entertaining book with 3D fish models. Grippies Builders ($39.99, age 18 months and up) - A remix on the classic building block, these magnetic building blocks will introduce your toddler to the world of STEM. Branch Blocks ($39.99, ages 3 and up) - With this natural material construction toy like no other, your child can build and create complex structures. Design & Drill Robot ($16.99, ages 3 and up) - Create and customize your very own robot pal! Playtime meets education as this toy encourages artistic expression, helps with fine motor skills, and supports STEM learning. Makey Makey ($64.99) -Use your creativity to transform everyday objects into touchpads that play music. There are endless options to try so the fun never stops! Hexbug 3Doodler Start ($69.99, ages 6 and up) - Bring your unique creations to life with the help of a 3D pen. This set includes 3 HEXBUG motors and 2 HEXBUG molds to get your designs started! 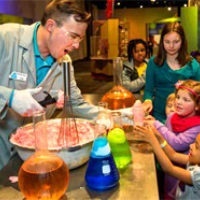 Glow in the Dark Lab ($29.99, ages 7 and up) - Cultivate a love for science with fun experiments. Includes a lab book with 20 special projects that address nine principles of science. Mission Commander Astronaut Doll ($24.99) - This woman in science comes with a lunar dig kit. Use your imagination to complete your mission on the moon! Robotikits Solar Kit ($26.99) - This 6-1 set is a toy and educational tool! Children will learn about solar energy and see it in action as they build models of an airboat, plane, etc. OzoBot ($59.99) - Know someone interested in programming? Let them play with Ozobot, the newest way to learn to code through color language. Ozobot comes with web and printable games and is compatible with several free iOS and Android apps for your endless enjoyment. Constellation Mug ($12.99)- Jazz up your morning beverage with this quirky mug. The heat from your coffee or tea will reveal the constellations. Experience the cosmos in one sip! Brass Telescope with Box ($39.99)- This functional telescope and compass set is perfect for any curious mind. Complete with a holding case for safe storage. Scientific Things Sweatshirt ($35.99) - Stay cozy all winter long in this Stranger Things themed holiday sweater made from a soft cotton-polyester blend. Uruguay Amethyst ($14.99) - Brighten up your space with this decorative stone. The amethyst known for providing peace and tranquility will add a special touch to your home or office. Life Hacks by Keith Bradford ($14.99) - Pick up this collection of life hacks to make your life easier. There are literally hundreds of interesting tips to read and review! Astronaut Ice Cream & Fruit ($5.99 each) - Eat like an astronaut! With several yummy flavors of freeze-dried ice cream and fruit from outer space, the only small step you’ll have to make is to decide which to get! Earthwoormz ($3.99) - They say earthworms are a good source of protein. Give them a try or dare a friend to eat a real worm! Rocket Race Car ($19.99) - This multi-functional remote controlled race car is the ideal gift for little NASCAR fans. Let the dreams of becoming a race car driver start here! Crazy Aaron’s Thinking Putty Mini Tins ($4.99, ages 3 and up) - Move over slime! From color-shifting to magnetic, this thinking putty will amaze your child and give them hours of entertainment. Also available in a larger size for $9.97 - $17.99. Classic Survival Tool ($4.99) - This wallet-size versatile survival kit includes a bottle and can opener, ruler, and more! Never be without what you need during those unexpected moments on the go. 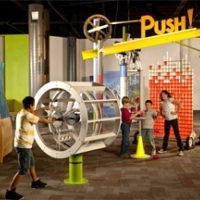 Museum Membership - For the parent or grandparent who seeks enriching activities that bring the whole family closer, a Membership is the best way to experience all that our Museums have to offer. Plus, Members are invited to special events and exclusive exhibition openings as well as receive discounts on Birthday Parties, Camps and other programs.